Thor Equities sold a Midtown development site at 520 Fifth Avenue to Ceruzzi Properties and an unidentified Chinese partner for $275 million, after purchasing it for $150 million in 2011. Ceruzzi , a Fairfield, Conn.-based real estate investor, plans to follow through with Sitt's plans to develop for a 71-story residential, hotel and retail tower on the site. 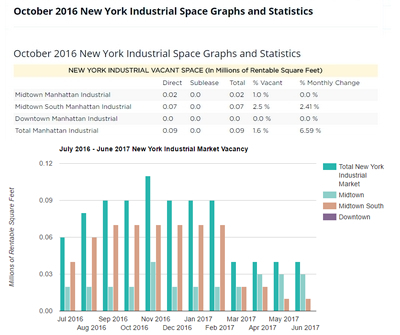 The plot has approximately 300,000 buildable square feet, between 43rd and 44th streets and has been vacant since two prewar buildings were demolished there when purchased the site. 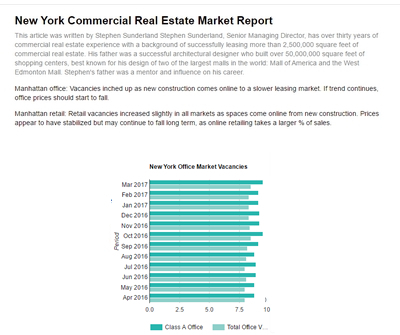 Real estate investor Arthur Shapolsky is in contract to buy a corner development site at 23 Third Avenue across from Edward Minskoff's 51 Astor Place for roughly $50 million. Young Jewish Professionals, a New York-based nonprofit with a prominent real estate network, is close to buying a Gramercy commercial co-op just east of Union Square, with plans for its first community center. 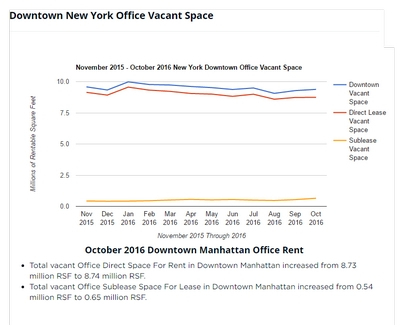 The 7,000-square-foot space sits at the base of a 10-story residential co-op building at 105-107 East 16th Street, between Union Square East and Irving Place. The space spans the 3,700-square-foot ground floor, as well as the basement and mezzanine. The co-op board is in contract to sell the unit to YJP for $3.5 million. Renovation of the vacant retail space is slated to cost an extra $1.5 million. GreenOak Real Estate, and along with Capstone Equities, completed their purchased of an office and retail building at 5 East 59th Street for $85 million. Brazil-based Groupo Victor Malzoni, led by billionaire investor Paulo Malzoni, was the seller. The price ends up working out to $1,411 per buildable square foot. The new owners are planning to target a high-end retail tenant. RFR Realty is in contract to buy 337 Lafayette Street the Noho home of the "Peace Pentagon" for $20 million. 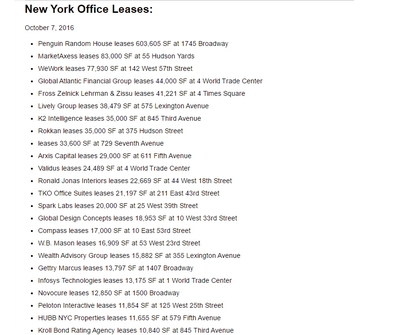 RFR agreed to pay $20.7 million for 337 Lafayette Street at Bleecker Street from the A.J. Muste Memorial Institute, the pacifist nonprofit group operating out of the space. The development site offers 21,000 buildable square feet. Victor Group picked up a six-story commercial building at 277 Fifth Avenue in NoMad for $35.1 million, near a site where it is planning a 52-story condominium tower. The 13,400-square-foot building, located at the corner of 30th Street, has six commercial units, including retail and storage space. Tishman Speyer is paying $185 million for a large development site at Hudson Yards. The property is located across from the Javits Center, along 11th Avenue and The site is between West 36th and 37th streets. The site can currently hold a 735,000-square-foot mixed-use development. The developer could acquire additional air rights, however, which could allow for a 1.7 million-square-foot tower. The Imperatore family who has owned the site for many years is selling. This would be the third major developer to construct a building in Hudson Yards. 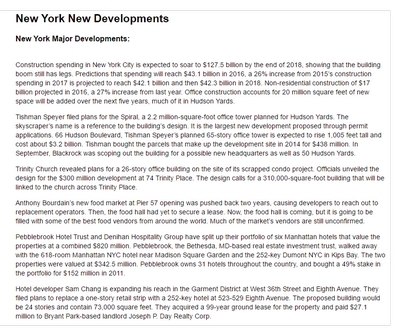 Last year, Tishman Speyer bought a nearby development site for $438 million one avenue over, between West 34th and 35th streets, where it plans to build a roughly $3 billion tower. DHA Capital is in contract to buy a Nolita development site for more than $50 million. The developers, along with partners AMS Acquisitions and First Atlantic Real Estate, signed a contract to buy the two-story parking garage at 75 Kenmare Street at the corner of Mulberry Street, The seller is the Sentry Operation Corp. DHA plans to build a 68,000-square-foot, mixed-use property with retail, residential and parking. Vornado Realty Trust just closed on the $355 million acquisition of the Old Navy building in Herald Square, just over a year after a partnership between Starwood Capital Group and Crown Acquisitions bought it for $252 million. The property is an With the deal existing for the three-story, 78,000-square-foot building at 144-150 West 34th Street, the Steven Roth-led real estate investment trust gains control of another prime retail property in a neighborhood where it has been assembling assets for decades. The site on which the property sits could could be redeveloped into a 300,000-square-foot retail and hotel tower, using unused air rights. 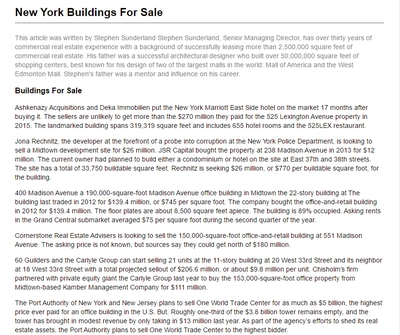 Westbrook Partners is the only buyer of Savanna's 1375 Broadway . The real estate and private equity firm is selling the property at West 37th Street for $310 million, which is more than twice what it paid in 2010. Previously, Savanna had planned to keep an ownership stake in the 27-story, 513,000-square-foot property. South Korea-based Lotte Group has gone to entered into contract to acquire New York Palace Hotel at 455 Madison Avenue for $805 million. The Lotte Group will acquire and operate the Midtown hotel between East 50th and East 51st streets in Midtown, through its Hotel Lotte unit. Northwood bought the 55-story hotel from the Brunei Investment Agency for $400 million in 2011 and spent $100 million on renovating the property. Mitchell Holdings picked up the Herald Square Hotel from the Puchall family for around $38.5 million. The eight-story, 38,000-square-foot, property at 19-21 West 31st Street, between Broadway and Fifth Avenue, holds 96 hotel rooms. The family owned and operated the hotel since 1970. Investors Penny Silberberg and Steve Silverberg are asking $45 million for a five-story Upper East Side rental building with grocery store Citarella at the base. 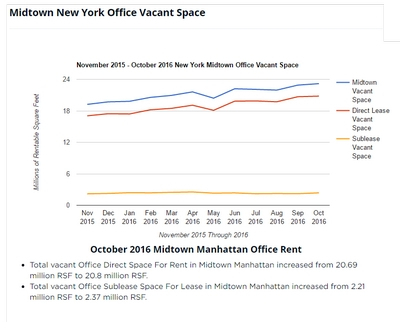 The walk-up property at 1313-1315 Third Avenue, near East 75th Street, is spans 24,000 square feet and offers an additional 35,000 buildable square feet. The owners have owned the building since 1993. SL Green Realty intends to sell at least $1.1 billion worth of properties over the coming months to finance its acquisition of 11 Madison Avenue. 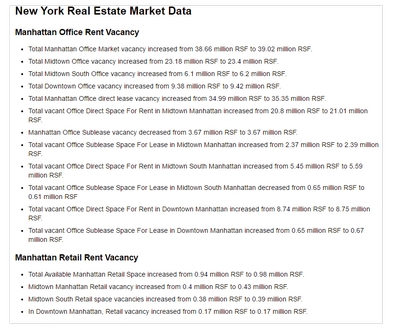 The real estate investment trust went into contract to buy the 2.3 million-square-foot office tower in NoMad for $2.6 billion, $2.29 billion plus $300 million in lease-stipulated building improvements from CIM Group and the Sapir Organization. The deal is expected to close in the third quarter, giving several months to secure financing. SL Green Realty is putting 609 Fifth Avenue, the building that contains the American Girl Place store, on the market. The lease at the 156,000-square-foot property is set to expire in 2018. The upscale toy store is not planning on leaving before its lease is up. SL Green is looking to cash in on rising retail rents on the shopping corridor. 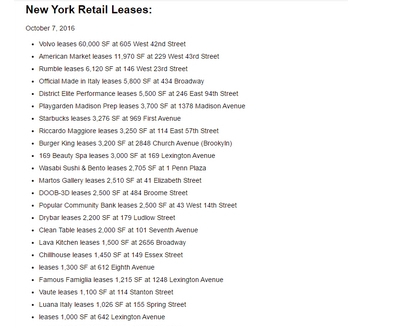 The American Girl lease was one of the biggest retail deals of its time. 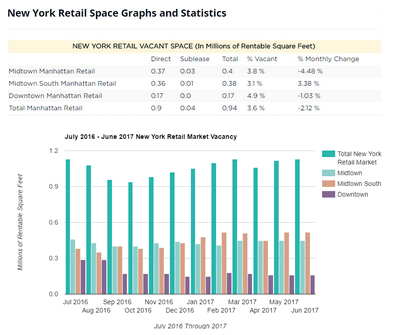 Retail space on that part of Fifth Avenue continues to be extremely in demand, and there's no indication it's going to subside in the near future. 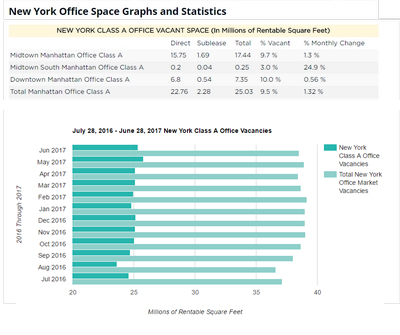 Sherwood Equities and JPMorgan Chase have put placed their Midtown office building at 370 Lexington Avenue on the market. 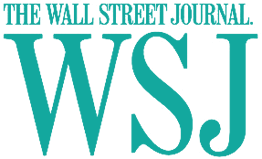 The two entities jointly acquired the 27-story, 311,000-square-foot property for $155 million in September 2008. It caters to smaller office tenants. Most of the building's tenants take up between 1,500 and 5,000 square feet of space, with the property nearly at full occupancy. They are seeking up to $300 million for the office building, which would nearly double their investment in the property. A 40,000-square-foot retail site in Soho is hitting the market. Modern furniture company Room & Board is leaving its location at 105 Wooster Street. 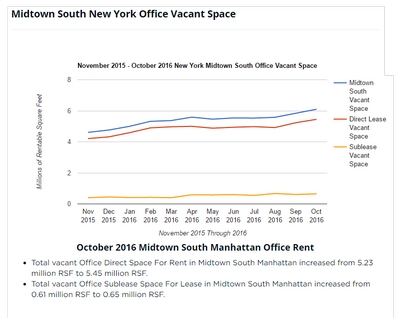 Asking rent for the space, a rare chance for a big tenant to set up shop in Soho, is $225 per square foot or $8.9 million a year. Brause Realty is putting 10 East 34th Streeta, a its 10-story Midtown 55,000-square-foot office building, at 10 East 34th Street on the market. The building is located between Fifth and Madison Avenues. The building's asking price is unknownwas not mentioned. The ground floor retail is currently vacant.